Our obedience program is second to none. 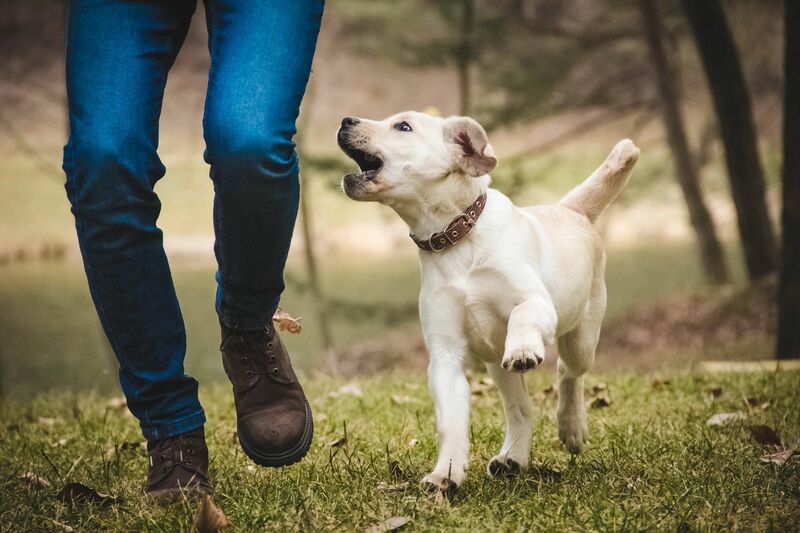 Our obedience program focuses on the basic 5 commands all dogs should know including sit, stay, down, come and heel all off leash regardless of the distraction. We expect a pet dog’s obedience to be just below a police or service dog level. 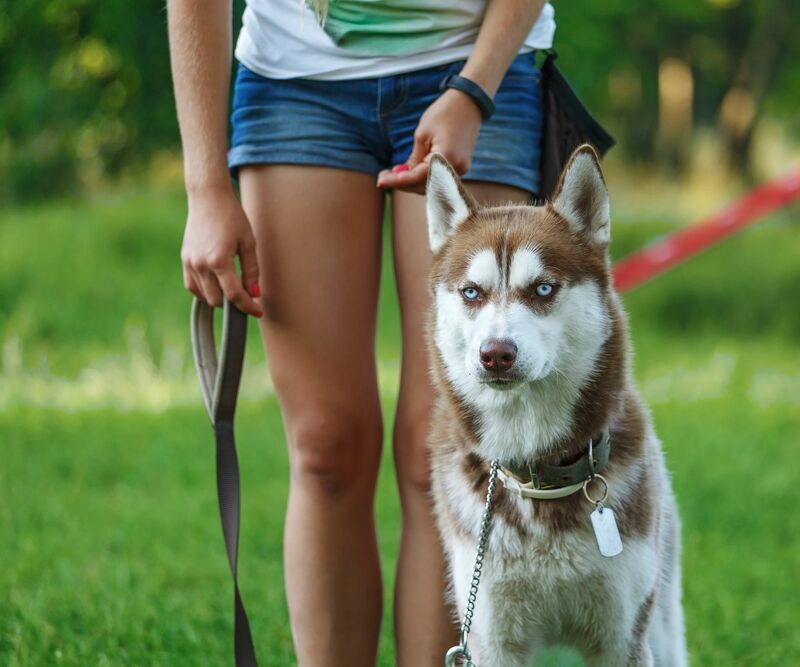 Pet dog obedience is the foundation for solving all behavior problems. Whatever the behavior problem, we always begin with obedience. This forms the foundation of communication so that we can address the concerning behavior. Why wait years for a service dog when most pet dogs can be trained to provide service dog related services. We have trained many pet dogs that meet service dog requirements. The Pet Dog Obedience (PDO) program is a prerequisite for both Service Dog (SD) and Therapy Dog (TD) programs. We build a tailored curriculum for all dogs entering into the SD program so that they may assist their disabled handler in real world scenarios. We also fine tune obedience commands to ensure that the service dog candidate will respond in any situation. From home protection to commercial, non-government entities to government agencies we can train a dog or an entire team to serve your needs. We offer training program in protection and scent detection. While all working dogs are obedient and friendly, they are always ready to work. Our dogs will fit into any setting, whether it be playing Frisbee with kids or stopping an intruder in a home invasion. In commercial applications our dogs are always working and ready to respond whether it is protecting an office or searching for contraband. We only train the highest caliber dogs with the right mindset for the job at hand. Typically sessions are scheduled on a weekly basis either at our facility or in a variety of locations as needed to complete the training. All training begins at our location utilizing positive reinforcement techniques. This allows our trainers to completely control the environment. Controlling the environment is critical during the early stages of training as it allows our staff to avoid any distractions. As training advances and the dog becomes more proficient, our staff are able to begin adding distractions to ensure the dog will perform with distractions while still being in a controlled setting. Once the dog excels with distractions in our controlled facility, we begin to work in public areas where your dog and you, as the handler, will face real world situations that can not be staged. Once the dog has exhibited that he or she can perform the tasks as outlined in the training contract and once the owner feels comfortable, train is suspended to allow owners to test and judge the training in everyday life. If any problems arise, we will always get back involved at no cost! As with all of our services, we guarantee our training for the life of the dog. So, if in 6 months or 6 years if your pet begins to forget their commands we will get back involved at no cost. Clients of Holland K9 Services also receive free tune-ups for the life of the dog. If you would like more information about any of our services feel free to complete the contact form and one of or Master Trainers will contact you. We will be glad to answer any questions and or setup a free consultation.